The BIOS is the Basic Input/Output System that gets your computer up and running before Windows, Linux, or macOS even starts. That is, it’s the firmware on your motherboard that makes everything happen. The BIOS settings can be changed to tweak low-level system hardware settings, enable or disable boot devices, add password protection to your computer, and apply other settings. Like any configurable part of your computer, the BIOS can get corrupted. You can make inadvertent changes that destabilize your system, fall victim to malware or a botched BIOS upgrade or power outage, or just plain forget your BIOS password. In these cases, resetting your BIOS to its default settings can get you up and running again. If you are experiencing problems attempting to installing Windows 10 from a USB or DVD, resetting the BIOS might also help. 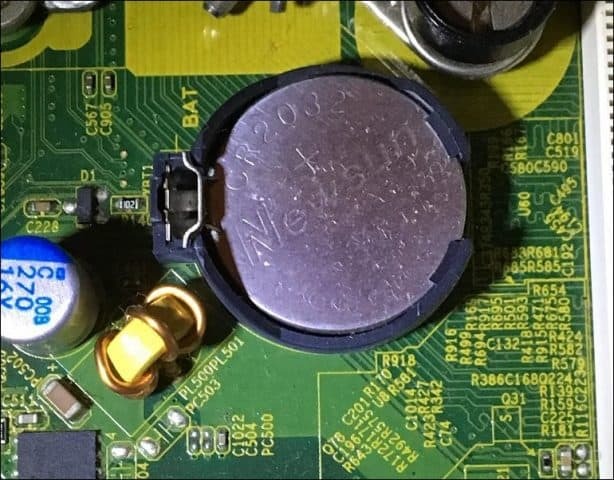 In this article, we’ll take a look at a couple ways you can reset your BIOS back to its original factory state, also known as clearing the CMOS cache. Due to the variety of makes and models, this guide is far from comprehensive, but the basic principles for accessing the BIOS or UEFI firmware interface can be found in our BIOS setup guide. Finding the setting to reset your BIOS will vary depending on your computer. On my HP desktop and laptop, the reset feature is under the File -> Default Setup menu and is called Restore Factory Settings as default. Users should look for wording relating to Restore Defaults or Factory Default. Usually, you will need to press the F10 to confirm changes before exiting. Another way users can reset their BIOS defaults is by manually resetting a jumper on the motherboard. When I just started working as a system administrator at a local high school, students would enter the BIOS and setup a password locking out other students. 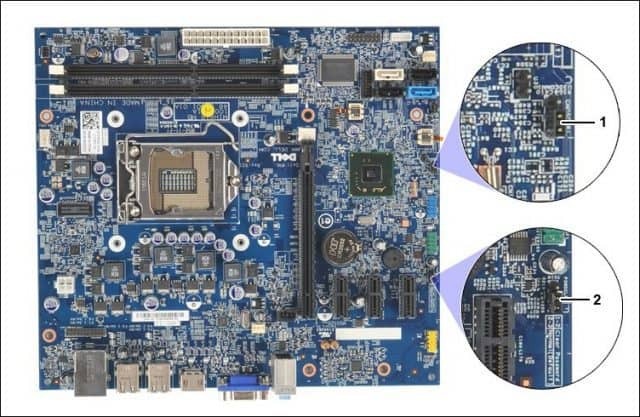 Resetting the jumper on the motherboard then applying a standard BIOS password to access prevent access resolved this issue. Before you begin, ensure your computer is powered down, the power cord is disconnected from the outlet then wait about 30 minutes for your system to be cooled down. Reason why? Some electrical charge might still be present even when powered down and disconnected. You don’t want to risk any chance of electrical shock or damage to components. Proceed to open the system unit then look for a small jumper—there might be two: one for resetting the BIOS and one for just the BIOS password. Remove both, reconnect the system unit to AC power, boot the system then wait about 10 minutes. Once your BIOS has been reset, reconnect the jumpers, then close the system unit, reconnect external devices, then power on the system. On my HP desktop, the CMOS jumper is actually a button, which I simply press and hold for about 5 seconds. So, this process varies depending on the make and model of your computer. Another method users can attempt is to simply remove the CMOS battery itself. The CMOS battery looks like a small silver coin. Macintosh computers have a similar setting called the NVRAM (nonvolatile random-access memory). It keeps some information about your Mac such as volume, screen resolution, startup disk, time zone, and recent kernel panic information. Macs are very proprietary, so, any default settings are done externally. Thankfully, it’s very easy to reset them. First, power down your Mac, turn it on then immediately press the following keys at the same time: Option, Command, P, and R. You can release the keys after you hear the startup chime. Apple says you might need to readjust settings for volume, screen resolution, startup disk selection, and time zone afterward. 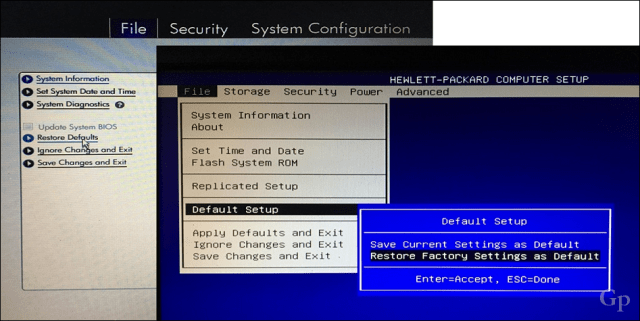 That’s a quick look at resetting your BIOS defaults. Let us know in the comments if this something you have done before. MS Surface Boot… Booting from a none MS bootable USB device advice would be appreciated. MS is serious about security issues on the Surface offerings. is there any advantage in resetting the BIOS? When you make inadvertent changes that destabilize your system, fall victim to malware or a botched BIOS upgrade or power outage, or just plain forget your BIOS password. In these cases, resetting your BIOS to its default settings can get you up and running again. If you are experiencing problems attempting to installing Windows 10 from a USB or DVD, resetting the BIOS might also help. 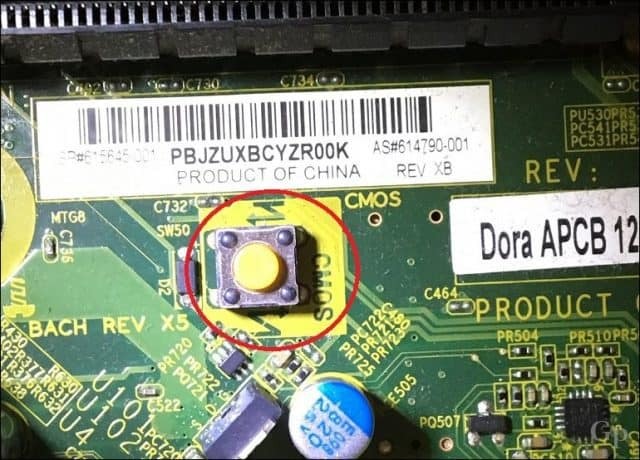 I have also found another way of resetting the BIOS not mentioned above, in PC which has no jumpers on the motherboard or resetting switch, the procedure is to (PC should be not powered and fully disconnected from main power) remove the CMOS battery and replace with 1 pence coin in UK or 1 C in Euro, and wait for 10 seconds then remove the coin and place the CMOS battery, it also worth installing new CMOS battery as often the old one may not have enough power, then connect PC and power up, enter BIOS setting and adjust date and time, as these have been lost when the CMOS battery was removed, then select save default settings and save and exit, and start PC. Had that battery failing happen on 5+ year old PC. Tip off is the system’s date begins to fall behind like with a digital watch. Speeds up as it gets nearly ready to die fully. Usually batteries are common & cheap tho may need to shop stores to find just 2. Locally big city stores mainly had single pricey or set of 4. Finally found cheap 2 for price of what many wanted for 1. Best is to recognize the failing warnings & buy online to safe effort.